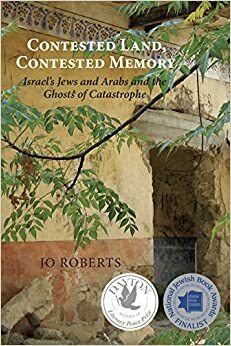 Contested Land, Contested Memory: Israel’s Jews and Arabs and the Ghosts of Catastrophe, by Jo Roberts. Toronto, ON: Dundurn Press, 2013. 304 pages. Introduction to p. 264. Appendix to p. 265. Notes to p. 290. Glossary to p. 293. Index to p. 302. $24.99 paper, $11.99 e-book.